The war in Yemen raged through its third year in 2017. But with the world’s eyes turned elsewhere, the strings were being pulled by Riyadh, Tehran and even by Washington. The conflict provoked by the Saudi-UAE assault on Yemen (Operation Decisive Storm) began in March, 2015, and an end is not in sight. 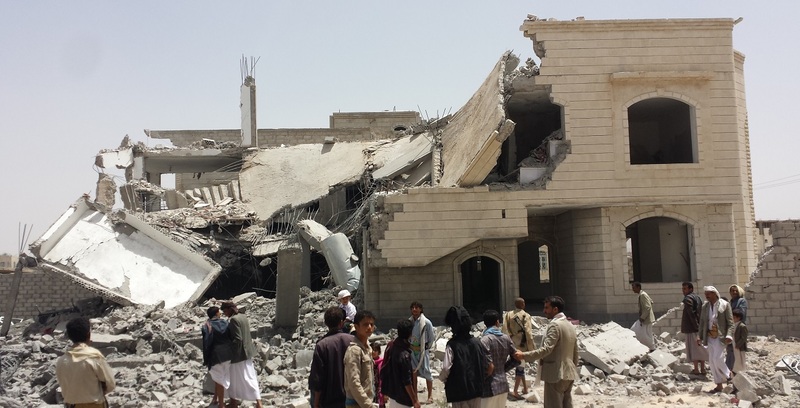 The impact on the Yemeni population has been devastating. None of the combatants, especially the Saudi-led aggressors and their Western patrons, have shown any willingness to end this senseless war. The killing of former President Ali Abdallah Saleh last week further clouded the prospects for peace. The Saudi attack on Yemen is based on two flawed arguments. One was that Iranian support for the Houthis had to be countered and that this could only be achieved militarily. The problem with this argument is that Iran’s support for the Houthis before the attack was negligible and has subsequently been limited and opportunistic. The Saudis’ second claim is that the Gulf states have a duty to restore the internationally-recognised President Abdrabbuh Mansur Hadi to office in Sanaa. Hadi replaced Saleh as part of a regional peace agreement in 2012, an agreement that was endorsed by the United Nations Security Council. Hadi fled to Saudi Arabia when the Houtis advanced towards the south of the country and is reported to be under effective house arrest. Given Security Council endorsement of the arrangement, it is, strictly speaking, legal. However, its underlying premise invalidated the agreement in the eyes of many Yemenis, especially the Houthis, who were excluded from its conclusion and from a role in the country’s political life. The Saudis, however, have used this legality to justify their attacks and are supported by the US and UK but not by regional allies such as Egypt, Oman and Pakistan. Over the two and a half years of fighting, more than 10,000 civilians are believed to have died, 22.2 million (of a population of 29.3 million) need aid and 2 million are internally displaced. A major cholera epidemic is ravaging the country and, despite delivery of limited aid, the country is on the edge of famine. The fighting is largely at a stalemate with the warring parties having reached an “equilibrium of misery”. 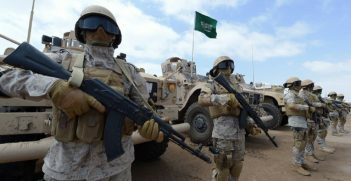 Saudi-led forces have made some gains along the coast and their opponents have launched missile attacks on Saudi Arabia. Both sides, especially the Saudis, have been accused of human rights violations, some of which may constitute war crimes. For example, one report found “strong evidence that coalition strategy has aimed to destroy food production and distribution” in areas controlled by Houthi and Saleh forces. While Saudis have been bombing weddings and public markets and enforcing a devastating embargo on Yemen, the Emiratis have established a fiefdom in the south of the country. They are reported to have established five Yemeni brigades that report to Abu Dhabi, not the recognised government. There have been clashes between forces aligned to the Saudis and the Emiratis reflecting their ongoing rivalry. Overall, Emirati policy has benefitted Al-Qaeda in the Arabian Peninsula and southern separatists, complicating further the goal of ending the fighting. The killing on 4 December of Ali Abdallah Saleh, Yemen’s president for 33 years (he was president of North Yemen from 1978-1990 and president of unified Yemen from 1990-2012), has injected a huge element of uncertainty into the situation. While Saleh’s influence was waning, some analysts saw in him the only force capable of squeezing a compromise out of the various parties. This is probably to give Saleh and the Saudis too much credit. Saleh’s goal, when announcing his willingness to abandon the Houthis, was probably to regain power for himself or his son, Ahmed. During his years in power, Saleh did little to improve the country’s situation and was more intent on maintaining his and his family’s grip on power. For their part, the Saudis seem determined to continue to use the straw-man of Iranian influence against the Houthis to further their rivalry with Tehran and are constrained by possible loss of face were they to accept the need for compromise. They continue to issue demands to the Houthis that they know are unacceptable to the group. While Saleh exerted only limited influence on the course of events in Yemen since 2012, his death is likely to make a peaceful solution more difficult and will aggravate conditions facing the Yemeni people. A compliant, nominally pro-Saudi Saleh back in power in Sanaa might have given the Saudis the opportunity to look for a diplomatic escape from the imbroglio in which they have put themselves. There is no one else to play such a role. The involvement of Houthi supporters in Saleh’s death is likely to see increased repression of the many disparate groups who do not support the Houthis’ dominance. The alliance with Saleh gave the Houthis a degree of legitimacy among other Yemenis. Without him, their narrow tribal base is exposed. They have begun to act to entrench their position, with prominent Saleh supporters rounded up and, in an age-old Yemeni tradition, hostages taken to ensure good behaviour. People of good will should be able to find a solution to the most complex problems. That applies to Yemen with its violence, famine, cholera and corruption. While the Saudis and Emiratis do not seem to be influenced by such concerns, they could be driven to negotiate seriously if the US and UK were to decide that a settlement was in their national interests. 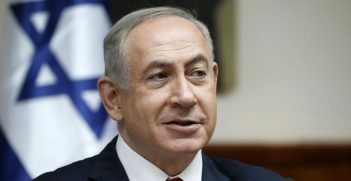 The United Nations has provided the mechanism for negotiations through the good offices of the UN Secretary-General’s Special Representative, Ismail Ould Cheikh Ahmed, who has engaged in a number of fruitless attempts to bring the parties together for negotiations. So far, however, neither the US nor UK have shown interest in ending the conflict, focusing instead on the sale of arms to the Saudis and Emiratis, which they seem to think will preserve their relationship with Riyadh. The US and UK governments’ complicity in the crisis is despite growing political and military opposition to the arms sales. On 13 November, the US Congress passed a non-binding resolution calling on the Administration to end arms sales because of Saudi human rights violations. On 19 September British MPs reflected a similar concern in a letter to the UN secretary-general. There are two elements in the Yemeni conflict. One is domestic and involves the unresolved status of the different groups that make up the country. The concerns of the Houthis and the demands of the separatists in the south of the country will have to be addressed as part of a settlement. Saleh managed to suppress these impulses over his years in power but they never went away. The other challenge derives from the Saudi attempt to present itself as a rival to Iranian standing the region. This plus the wars in Iraq and Syria have made the case for a broad approach to the many problems of the region. The Iranian nuclear agreement broke the regional stalemate and made possible a process involving all the concerned parties. Yemen’s crisis could be dealt with in such a process. Dr Anthony Billingsley is an adjunct senior lecturer at the University of New South Wales. Saudi women will for the first time be allowed to drive this week on 24 June. However, arrests of feminist activists show that the authoritarian state portrays itself as the only possible agent of change. The tragic war in Yemen stands as the latest casualty of the Cold War between Iran and Saudi Arabia which has come to define the region. Inaction by the West in the short term could have big long-term consequences.